Encouraged by generous natural resources and in response to a growing demand on energy, renewable energy is witnessing an increasing interest in Egypt. Among different renewable energy technologies, solar photovoltaic and wind technologies are part of the preferred options for electricity generation mix in Egypt. Other options such as solar water heaters, photovoltaic rooftop technologies still need more attention, except for some donor funded activities and NGO’s efforts that try to create some momentum on pilot and local scales. Here comes the important role that the MED-DESIRE project is playing in the Egyptian market. Through an outstanding cooperation between nine bodies from five Mediterranean countries, the MED-DESIRE project paved the way ahead towards a fruitful and smooth flow of information and knowledge to develop the solar energy applications in Egypt. NREA represents Egypt in the MED-DESIRE project and it is fully keen to get benefit from the opportunities that the project is offering in terms of developing renewable energy in the country. The Egyptian Government had previously announced its own strategy, which aims to generate 20% of the electricity from renewable energy resources. Also, it announced a feed-in-tariff, FiT, program for both wind energy and photovoltaic projects. 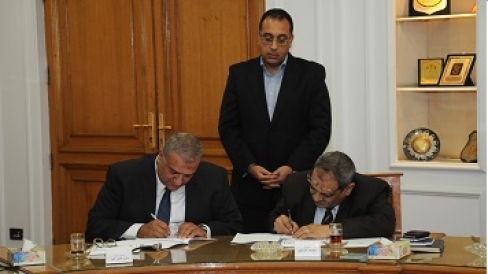 In addition, Egypt announced a FiT mechanism for biomass applications. NREA is taking all the inputs and outcomes of the MED-DESIRE project and trying to integrate them within the overall path of the national plans. Based on MED-DESIRE outcomes, the New Urban Communities Authority, NUCA, is totally involved to integrate solar ordinances in the new cities. Specific training courses have been offered to ensure smooth integration of such obligations and get the appropriate know-how. Also, local financing bodies have been involved in the MED-DESIRE. Some of them already raised their interest to be involved in a national financing scheme for solar applications. Also, links with vocational education in Egypt has been enhanced through MED-DESIRE. Thanks to the European Union, MED-DESIRE has been a successful catalyzer in creating these positive constructive links. We believe that we have to maximize and invest these benefits in the Egyptian market.